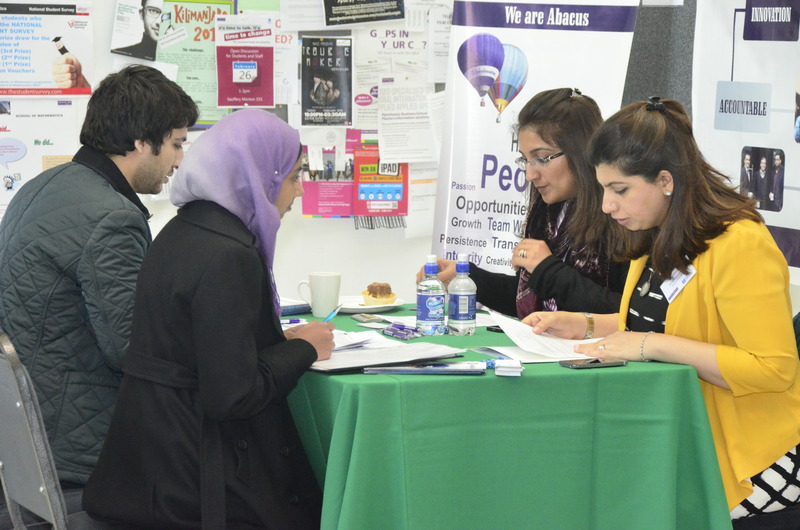 Engro, Allied Bank, Abacus Consulting and Sidat Hyder Morshed Associates were amongst the employers offering jobs and internships to our students at the Pakistan Job Fair last week at The University of Manchester. Even the media firm who were reporting on the event – Express Tribune – were reported to have offered opportunities! But if you were not able to make the fair, there is still time to secure something. 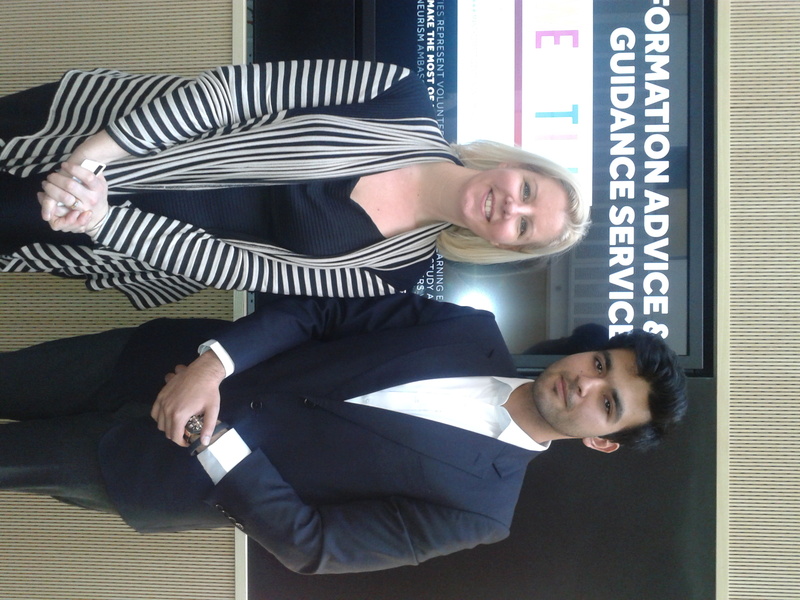 The firms are still keen to hear from our students and put them through their selection processes. Find out how to apply below. 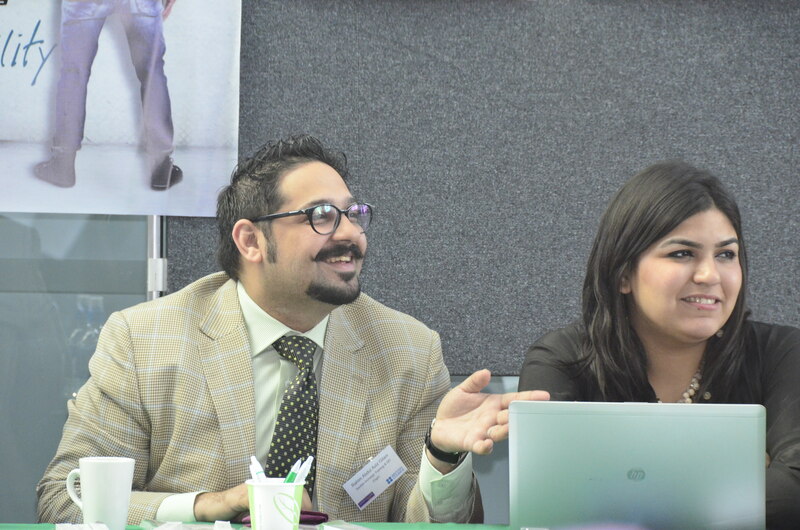 In partnership with The British Council Pakistan, this was the third Pakistan Fair for University of Manchester students in as many years with our students securing jobs and internships at all three. Unlike some fairs, which can be more promotional, employers were conducting real interviews at the fair and inviting students to sit their selection tests. One firm, Engro, conducting a full morning of interviews ( and job offers) the next day too. Students with strong academic records and the ability to demonstrate good communication skills, enthusiasm, a global mindset and professionalism were all noticed. Many firms were keen to explore internships or live projects with students as part of their courses too. Allied Bank Ltd – www.abl.com/careers – Internships and graduate roles. Business projects as part of your course. If you would like to explore more opportunities available for Pakistan we have a Pakistan country page online at: www.careers.manchester.ac.uk/findjobs/where/overseas/pakistan/ This includes an Employer Directory of firms interested in recruiting from Manchester. Although it is 2012, the contacts can still be used. Our employer and jobs database, Careerslink sometimes also have opportunities in Pakistan available ( such as Standard Chartered) and our online network below is also growing.